One of Europe’s best Warcraft III and StarCraft II players has been told his username violates Blizzard’s naming policy. DeMusliM, who is a professional StarCraft II player tweeted yesterday to reveal the request. 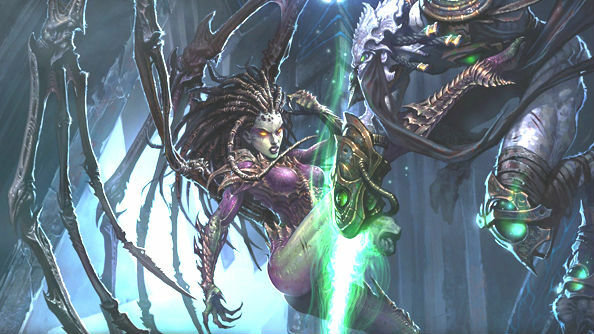 Competition is returning to StarCraft II this year. The screenshot from DeMuslim’s tweet shows an email from Blizzard customer support. The email says that “the BattleTag associated with the above account was found in violation of our BattleTag Naming Policy.” It goes on to instruct DeMuslim to change his tag via the company’s account management service. In a series of tweets replying to the original, DeMusliM asked whether it would be possible to speak directly to a representative from Blizzard, saying “I’ve had this [username] for umpteen years.” Blizzard’s customer service rep did not reply directly to the question, but it was later confirmed that a support ticket had been opened. DeMusliM, whose real name is Benjamin Baker, has been playing Blizzard games professionally since 2005, when he won a national Warcraft III tournament at the age of 15. He has been playing StarCraft II since beta, which suggests he’s had his current name since around 2010.